Neil deGrasse Tyson celebrates the first season of our first spinoff, StarTalk All-Stars, which features Bill Nye and a legion of new science educator hosts. We start with our fan’s favorite episode hosted by their favorite All-Stars host, Understanding Climate Change, with Bill Nye. Bill, co-host Chuck Nice, and the Director of the NASA Goddard Institute for Space Studies, Dr. Gavin A. Schmidt, talk about rising sea levels, glacial melting, and nuisance flooding. You’ll also hear about the “positive” impacts of climate change: No more ice ages and better English wine! 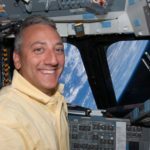 Next, the Chief Scientist of NASA’s Human Research Program, John Charles, tells our fan’s second favorite host, Mike Massimino, and his co-host Maeve Higgins, about what it will take to put humans on Mars for up to 18 months, including the psychological aspects of the trip, artificial gravity, and more. Join astrobiologist David Grinspoon and his guest, Carter Emmart, as they take us behind the scenes to hear how Carter creates a virtual “Google Map” of our universe, and find out about Carter’s own personal holodeck. Learn all about mining asteroids for water and precious metals from cosmochemist Natalie Starkey and her guest, planetary scientist Lindy Elkins-Tanton. Then, Carolyn Porco and her guest, Dan Werthimer, the Principal Investigator of the Breakthrough Listen Initiative, dive into one of the most controversial issues being debated today: should humanity be broadcasting our existence to the galaxy at large, or is that a recipe for disaster? Finally, astrophysicists Emily Rice and Summer Ash share their take on “Women Crushing It Wednesday” – reclaiming a sexist hashtag by celebrating women in STEM and examining the challenges women scientists face. NOTE: All-Access subscribers can listen to this entire episode commercial-free here: Season 1 Time Capsule – StarTalk All-Stars.